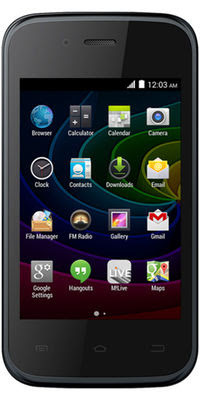 The Micromax Bolt D200 is powered by 1.3GHz twin-core MediaTek MT6571 processor and it comes with 512MB of RAM. The cell packs 512MB of inside storage that can be increased as much as 32GB via a microSD card. So far as the cameras are involved, the Micromax Bolt D200 packs a 0.Three-megapixel essential camera on the rear and a zero.Three-megapixel front shooter for selfies. The Micromax Bolt D200 is a dual SIM (GSM and GSM) smartphone that accepts general and Micro-SIM Connectivity choices comprise Wi-Fi, GPS, Bluetooth, FM. Sensors on the phone incorporate Proximity sensor, Ambient mild sensor, Accelerometer.